Would a dictator generate a fair election within one year of his presidency? Would a dictator hand over all the power to an elected leader? Yahya Khan established a semimilitary state, he also introduced changes that led to the return of parliamentary democracy. Yahya held national elections in December 1970 for the purpose of choosing members of the new National Assembly who were to be elected directly by the people. However, the results of these elections, which brought the politicians once more to the fore, led to the secession of East Pakistan and the creation of an independent Bangladesh in 1971. 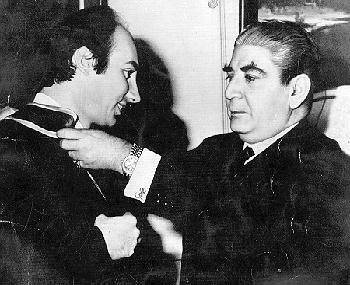 PRESIDENT YAHYA KHAN - mischarecterized and subject to false historical events description regarding his life in "INFOPLEASE" ENCYCLOPIDIA"
Pakistani general and president (1969Ã?Â¢Ã¢â??Â¬Ã¢â?¬Å?71). He fought with the British in World War II, and rose through the Pakistan army following independence, becoming chief of the general staff (1957Ã?Â¢Ã¢â? ?Â¬Ã¢â?¬Å?62) and helping to bring General Ayub Khan to power. 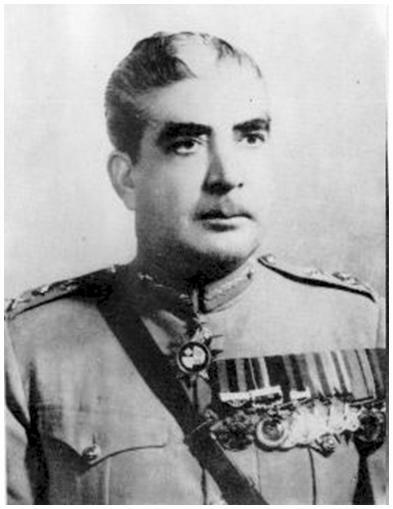 Yahya Khan performed well during the 1965 war with India, and in 1966 became commander in chief of the army. Economic problems and disputes between East and West Pakistan led to Ayub Khan's resignation and his replacement as president by Yahya Khan in 1969. The imposition of martial law failed to curb domestic unrest, and civil war between East and West Pakistan broke out in 1971. The defeat of Pakistan's army and the ultimate success of Bangladesh (see India-Pakistan Wars) caused him to resign in late 1971. He was succeeded by Zulfikar Ali Bhutto. ALL LEADERS, TRYING TO BRING DEMOCRACY IN PAKISTAN..
d. Aug. 10, 1980, Rawalpindi, Pak. president of Pakistan (1969-71), a professional soldier who became commander in chief of the Pakistani armed forces in 1966. Yahya was born to a family that was descended from the elite soldier class of Nader Shah, the Persian ruler who conquered Delhi in the 18th century. He was educated at Punjab University and later graduated first in his class from the Indian Military Academy at Dehra Dun. He served in Italy and the Middle East during World War II and, after the partition of India, organized the Pakistani Staff College in 1947. After serving in the war with India over Kashmir, he became Pakistan's youngest brigadier general at 34, its youngest general at 40, and commander in chief in 1966. A protÃ?Æ?Ã?Â©gÃ?Æ?Ã?Â© of Pres. Ayub Khan, Yahya was in command of the military when street riots erupted. Ayub called on him to take over the direction of the government and preserve the integrity of Pakistan. He was appointed chief administrator of martial law, which he declared with the words "I will not tolerate disorder. Let everyone return to his post." Yahya Khan succeeded Pres. Ayub Khan when the latter resigned his office in March 1969. In 1971 a serious conflict erupted between the central government and the Awami Party of East Pakistan, led by Sheikh Mujibur Rahman. The East Pakistani leader demanded autonomy for his half of the geographically divided nation, and Yahya Khan responded by ordering the Army to suppress the Awami Party. The brutality with which his orders were carried out and the resulting influx of millions of East Pakistani refugees into India led to the Indian invasion of East Pakistan and the rout of its West Pakistani occupiers. East Pakistan became the independent state of Bangladesh, and with its loss Yahya Khan resigned (Dec. 20, 1971). He was replaced by his foreign minister, Zulfikar Ali Bhutto, who put him under house arrest. Shortly afterward he was paralyzed by a stroke and, after his release, played no further important political role. Pakistani president 1969Ã¢â?¬â??71. His mishandling of the Bangladesh separatist issue led to civil war, and he was forced to resign. Yahya Khan fought with the British army in the Middle East during World War II, escaping German capture in Italy. Later, as Pakistan's chief of army general staff, he supported General Ayub Khan's 1958 coup and in 1969 became military ruler. Following defeat by India in 1971, he resigned and was under house arrest 1972Ã¢â?¬â??75. AND ONCE MORE ANOTHER ENCYCLOPEDIA IGNORES HIS TRUE ACCOPLISHMENT AND PORTRAITS HIM AS A PRESIDENT WHO WAS FORCED TO RESIGN........AND RESPONSIBLE FOR THE BREAK UP OF EAST PAKISTAN.....!! !